This review is about item#46759097. 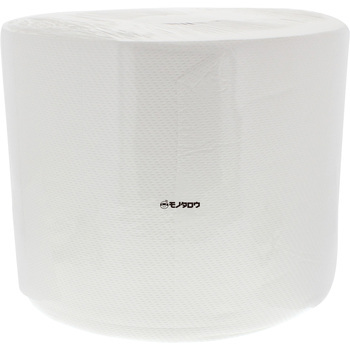 It takes a place because the roll is large, but it helps because it does not disappear so easily even if used in large quantities. I hope you already feel good, it is easy to cut perforations. I think it's good. It breaks, but there is no problem with wiping. It has a cut and is easy to use. I am glad if there is some thickness. Roughly rolling out a cheap feeling with fluent. Depending on usage, once purchased it can be used for a certain period of time. Thanks to that, the number of times of purchase of the waste has decreased. It is thin and fragile, but other people also say, but good one with kitchen paper may be a bargain, I tried considering the cost, but there is no next. I will be TRUSCO or Estee. Used for checking engine oil etc. Cost performance is good. I am subscribing. It is used for oil change and cleaning and wiping of dirty tools. It costs an initial cost, but it is cheap in the long run. When wiping off dirt such as chemicals, it is useful because it can wipe cleanly without being torn easily even if you rub it over and over again. It is a little hard to cut with perforations, it will be torn in a place without perforation if pulled, it is appreciated if you can improve. Since it was delivered, it was opened for the time being. Confirm the quality of paper. Feeling is a good feeling. As applications, it does not take much power such as cleaning of tools after servicing, grease, wiping off oil For work. This is enough because we are working with hanging from the knitting. After that, how about perforations, like being in impression? I think that it is still good at this price. I think that I will purchase again when it runs out. Although it is an ordinary wiping paper, it was not bad to try a lot. Because it is a roll type, I use it by hooking. It is extremely easy to use and repeat. Because it cuts with the size that you want to use, the perforation becomes an obstacle and it interferes. If it gets caught in burrs of metal etc, it easily breaks and fiber is attached. There is a need to use properly at the right place. Easy to be torn, perforations are not very useful. It is used for machine maintenance and wiping after washing. I think that it is easy to use as a function, because it is cheap but has sufficient thickness and water absorption. I've purchased it many times so far. However, the perforation is weak, and there are many times when it can not cut out well. I think that it is okay to increase the perforation slightly. Also, if you sell a slightly thinner type, I think that you can use it according to the purpose. It is good to use it cheaply and without fuss. It is a classic and repeat. I will not use it until the subscription but I often use it, so it would be appreciated if the user with a good repeat rate would be able to set the corresponding price. It is repeat purchase. I am satisfied because it is cheap and strong.